Advance Architecture was founded in 2009, the director of the company works together with a team to provide a quality professional service. We have the experience to manage a various range of architectural projects including design, listed building consents and planning permissions. The practice is able to provide management for construction projects from giving advice, full design, site inspections to project completion and final accounts. We maintain the client at heart of their project, the company retains with satisfied and happy clients. The good relationship we have with clients provides a personal service ensuring that quality service is provided and requirements are met. The services we mainly deliver include Architectural Designs, Planning Applications, Construction supervision and Interior design. We provide free advice for initial consultations. We mainly cover North London, Southgate, Winchmore Hill, Enfield, Barnet, Haringey, Redbridge, Wanstead, South Woodford and Walthamstow. Our selection of works includes flats, apartments, warehouse conversions, restaurants, housing, offices and many more. The project is dealt with the experienced designer from beginning to end of project; every project is a challenge and no project too small or too big.  Advance Architecture has been awarded Smarter Planning Champion status by the Planning Portal. This confirms our commitment to follow best-practice guidelines for the submission of planning applications, saving time, money and carbon for our clients and helping local authorities to process our applications as quickly and efficiently as possible. Thank you Advance Architecture! Took about two months from the day I called till we started the construction and I’ve not had one problem occur till now. I defiantly recommended to all those looking to enlarge their property. The construction is currently ongoing and the team is still in contact with our builders making sure everything goes to plan. A very big thanks! I requested a service from Advance Architecture to make a loft conversion at my house, my first idea was to make a room and after a meeting with them they suggest me to create a master bedroom with a toilet included, I was surprised by their ideas and how nice they provide the best use of my loft. The drawings were made in a short time and precisely drawn I’m happy with their services! I am quite pleased with having chosen Advance Architecture to advise me on home building works. we have a beautiful side extension it has made our home much bigger and spacious. they had great ideas or us. more than i imagined we could have had. they showed me clearly what it would look like with visuals and many alternatives! thank you, team!